In politics, perception is reality. It is perceived and therefore factual that a Democrat cannot win a statewide race in Alabama. The proof is in the pudding. We have 29 elected statewide officeholders in the Heart of Dixie. All 29 are Republicans. In addition, 6 out of 7 of our members in Congress are Republican. We have one lone Democratic member of Congress. Terri Sewell occupies the seat in Congress designed to be held by an African American. We do have a temporary accidental anomaly U.S. Senator in Doug Jones. However, as any nominal political observer knows, he is only there until the next election. He is the epitome of the political adage that more people vote against someone than for someone. People were simply voting against Roy Moore and more liberal money poured into Alabama to beat Moore than has ever been sent into Alabama in history and probably ever will be. It was the only race in the country and every socialist liberal group or individual in the nation jumped on board to beat Moore. That anomaly will never happen again. To his credit, Jones is not a demagogue. He is and has always been a liberal national Democrat. He has been a card carrying, bonafide liberal his entire adult life. He is ideologically more at home and comfortable buddying around with Chuck Schumer, Elizabeth Warren and Nancy Pelosi than with Richard Shelby, Robert Aderholt or Bradley Bryne. He has campaigned for, contributed to and been a Democratic delegate for Walter Mondale, Ted Kennedy, Barack Obama and Hillary Clinton. He is a true believer. He has felt his oats a bit and gotten involved in trying to change the state Democratic Party organization, which by the way is not very organized. He endorsed his candidate Peck Fox against Nancy Worley for the chairmanship of the defunct Alabama Democratic Party. Worley prevailed because Joe Reed still controls the reigns of the Democratic Party brand in the state. Make no doubt about it, the Democratic Party is the party of African Americans in Alabama. There are a few liberal white Democrats in the state that Reed parades out as face cards. However, he wants it to remain his party, and essentially that is the case. Make no mistake about it, Alabama politics is still driven by race. Whites are primarily Republicans. Blacks are totally Democratic. Politics is nothing more than simply counting. Basic math if you will. There are simply more white folks that vote than black folks who vote. That is why 29 out of 29 state officeholders are Republican. The Democrats have fielded three viable candidates for statewide office in the upcoming November General Election. They will run good races, but they are not going to win. It will be 29 out of 29 come January. Walt Maddox is the best candidate that the Democrats have had in several decades for Governor. Maddox is 45 and has been Mayor of Tuscaloosa, one of Alabama’s premier and most prosperous cities for 10 years. 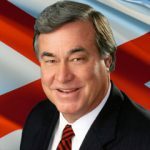 He is better qualified and much more able to serve as Governor than Kay Ivey. However, Kay is a Republican quasi incumbent, running in a very good economic time. Her handlers are doing an excellent job of running out the clock and keeping quiet. All they have to do is show pictures of Kay cutting ribbons, claiming credit for economic expansion, aligning herself with Trump and clinging to Confederate monuments. The bottom line is she will win because she is the Republican candidate. Joseph Siegelman, the son of former Governor Don Siegelman, is a viable candidate for Attorney General. He not only is viable but is vibrant and attractive. He is 30-years old with movie star good looks and he also has a good-looking dog. He exudes integrity and ethics. However, Marshall will prevail over Siegelman because he is the GOP candidate. Although it may be surprising how many votes young Siegelman gets. A lot of folks, including a good many moderate Republicans, believe Siegelman’s dad, Don, was done wrong. He will reap a good many sympathy votes. The third viable Democratic candidate is Robert Vance, Jr., in the race for Chief Justice of the Supreme Court. He will run a good race. However, Tom Parker will prevail because he is the Republican candidate. Living in Metro Birmingham allows me to know many Dems who are not only Black. Some of us have come from other places and some are ‘homegrown’. I will also hope that other members of the Alabama family would celebrate the ‘best’ candidates regardless of party.